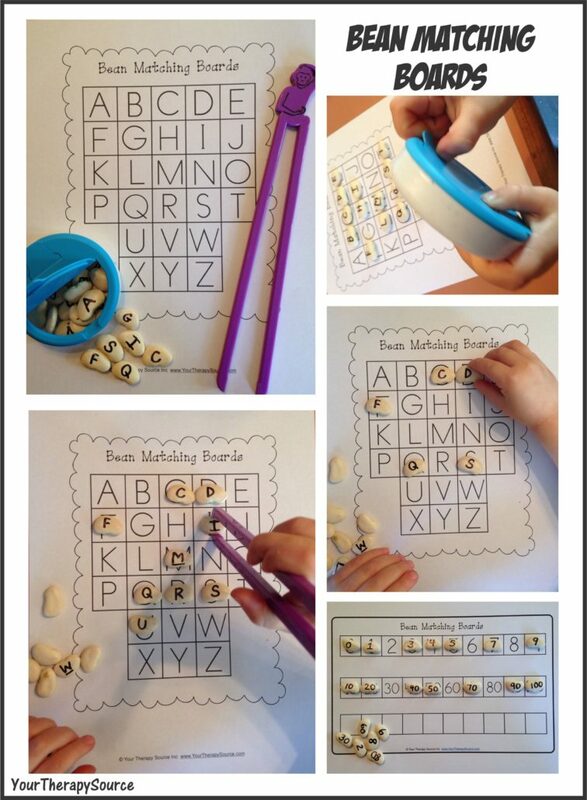 Download the free upper case, lower case and number boards to match up dried beans to challenge fine motor skills, visual perceptual skills and graded muscle control. See below picture for directions. 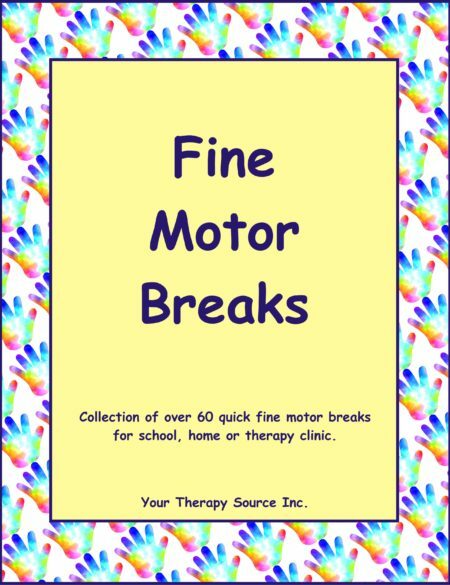 Purpose: Encourage fine motor skills, visual perceptual skills, letter/number identification and graded muscle control. 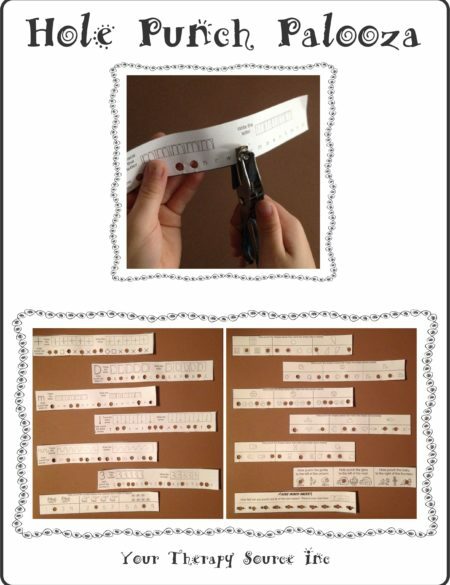 Materials: dried beans (I used lima beans), sharpie marker, print the matching boards, recycled mint container and tongs. How to Play: Write each upper case, lower case and number on the dried beans. 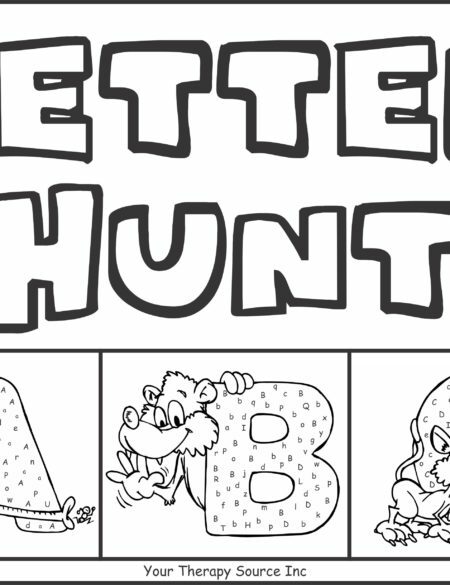 To start keep each set separate or it might be too difficult to find the correct letters or numbers. Choose a matching board to complete. Place that set of beans in the mint container. Remind the child not to eat beans or put them near the mouth! The child can shake out some of the beans. Using the tongs or the fingers place the bean on the correct matching letter/number. Continue until all the beans are matched up. Modifications: If the beans are too hard for the child to manipulate you could try a larger fine motor manipulative (i.e. water bottle lids and write letters on the top of each one). It may be hard to put the beans on without knocking other beans off if the child lacks graded muscle control. Try just putting a few beans on at a time and clear the board until all the beans are out of the mint container. container and read the number (i.e. 8). The child must perform 8 push ups. Choose a different exercise and repeat. Kids will enjoy that by chance they have to do 8 push ups but maybe only 1 sit up if they get lucky. the rice to find the beans. Match the beans up to the board.